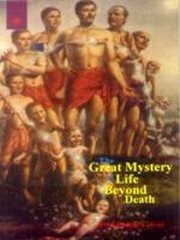 The varied experience which a spirit undergoes after death are described in the book with clarity and verisimilitude, giving the reader a rare glimpse of another, unknown dimension. Professor Kaji`s sincerity and veracity are patent. He laid no claim to supernatural powers, extrasensory perception or even a deep knowledge of the subject, and he disclaimed all responsibility for the views expressed. Regardless of its provenance, however, the book makes fascinating reading and will certainly provide food for thought, even for the most hardened skeptic.